Jyair Thomas sprinted 97 yards for Boys’ Latin’s first touchdown and also intercepted a pass on defense. A stalwart in the Boys’ Latin secondary, junior Jyair Thomas has waited patiently this season for his first opportunity to touch the football on the offensive side of the field. That chance came in the second quarter of Thursday’s MIAA B Conference football game between host BL and No. 14 John Carroll and Thomas did not waist it. Backed up on the 7-yard line after a punt, with 10:28 to play in the first half, Boys’ Latin quarterback Brenden Crouse handed the ball to Thomas on an inside reverse and Thomas blistered his way around the right edge and then left the Patriots defense in his wake as he glided 93-yards to the end zone. The score pushed the Lakers out to a 10-0 lead and they went on to defeat the previously unbeaten Patriots, 28-14. The day started with promise for John Carroll when senior Dorian Woody gained 48 yards on the game’s first two snaps from scrimmage, instantly moving the Patriots (4-0 overall, 0-1 MIAA B) to the Boys’ Latin 28. The Laker defense, however, stuffed JC on three consecutive short yardage attempts to turn the ball over on downs at their own 19. To John Carroll head coach Keith Rawlings it was the key moment of the game. The Lakers were able to win the field position battle as junior punter/kicker Sam Grace, who also plays on the BL soccer team, repeatedly backed up John Carroll with well placed kicks. Grace also staked the Lakers (3-2, 2-0) to a 3-0 lead with a 33-yard field goal later in the opening quarter. Thomas’ score came on BL’s first offensive play of the second quarter and the Lakers scored again, one possession later, when they drove 48 yards in just three plays, as Crouse connected with James Rice for 13 yards before completing a 36-yard TD toss to Rashawn Evans, who won a jump ball in the end zone, to give BL a 17-0 lead, with 6:56 left in the first half. John Carroll then got a much needed lift from Woody, as the speedy senior covered 75 yards on two carries to get the Patriots on the scoreboard. After a 19-yard run on the first snap of the drive, Woody burst into the BL secondary, did a 360 as he bounced off two tackles, and finished off a 57-yard touchdown run with a sprint to the end zone. JC faked the extra-point try, but came up short on the two-point pass attempt. However, they did slow the Boys’ Latin momentum and went to the halftime break down just 17-6. Woody had a huge day in the loss, rushing for 154 yards on 13 carries, including 124 in the first half. The teams traded punts at the start of the second half and BL’s Gio Biggers partially blocked the Patriots kick, allowing the Lakers to start their second possession of the second half at the John Carroll 43. That led to a six-play drive that concluded with a 6-yard touchdown run by Laker senior Devon Brewer, growing the BL lead to a commanding 24-6, with 3:55 left in the third quarter. The Laker defense and Grace’s punting allowed Boys’ Latin to maintain that lead until the final three minutes of the fourth quarter, when John Carroll quarterback Qadir Ismail got his squad back in the end zone with a 21-yard touchdown pass to Anthony Palmere. Boys’ Latin coach Ritchie Schell liked what he saw from his defense. “They were very good except one play, in the first half, when we gave up that long run (to Woody),” said Schell, who also praised Thomas and Grace. 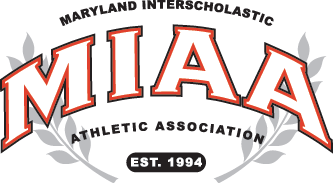 With only two teams advancing to the MIAA B Conference post-season, every regular season game is critical, so the loss already puts John Carroll in tough spot as it strives to get back to the championship game it won in 2015. Next week, John Carroll will host St. Mary’s on Friday night and BL will travel to defending champion St. Vincent Pallotti in another key contest for the Lakers.